Situated to 7 km of Saumur in Maine-et-Loire (49) and on the wine trails of the Loire, come to discover a Caribbean universe close to the Saumurois. A natural bathing of 1000m ² of fresh water lined of 1000m ² with white sand, the whole in an exotic decoration. 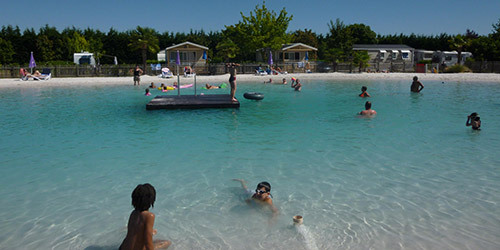 Our aquatic complex is the unique copy of the region from Anjou. 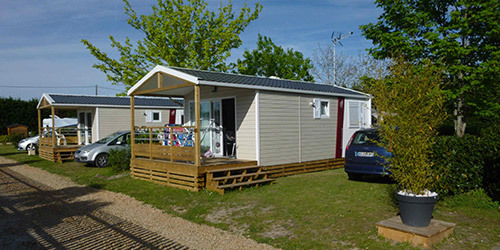 The Pô Doré welcomes you in rural areas, at the heart of the national park Region the Loire Anjou Touraine, in a friendly and family atmosphere. Rest, calms down relaxation assured Situated a few kilometers away from the Loire and in the crossroads of numerous sites to be visited (Castles of the Loire between Angers (Terra Botanica) Saumur (The Black Frame) the fortress royal of Chinon, the Royal abbey of Fontevraud, Bourgueil. 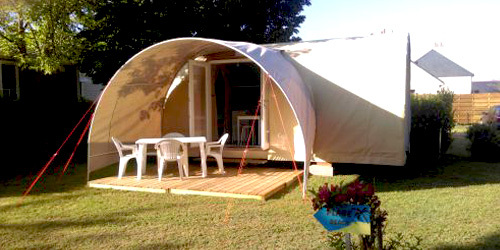 Close to pedestrian and cycle routes, the campsite proposes you animations during July and August. 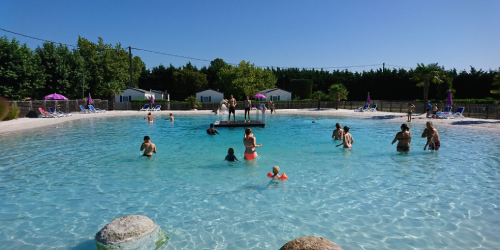 The campsite extends over 86 locations (comfort and big comfort) (52 Tourism and 34 leisure activities), it is raised and paysagé.